Comey really wanted to follow the advice of his top attorney (James Baker) and his team of FBI investigators, but Loretta Lynch told him to let Hillary off the hook...bring no charges. Comey wanted to do the right thing so badly, he re-opened Hillary's criminal investigation in October 2016..and Loretta Lynch promptly shut him down again. I just had a look at a map of Paris. The Church and the Fire station are very close. The Fire Dept is part of the military, specifically, the Army. I am going to suggest that the Govt can not keep this quiet. This is clearly stupid. No one is this inept. 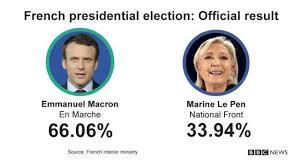 Macron also won with 66.06% to 33.94% against Le Pen. 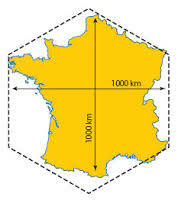 And don't forget: the French frequently refer to metropolitan France as the Hexagon. 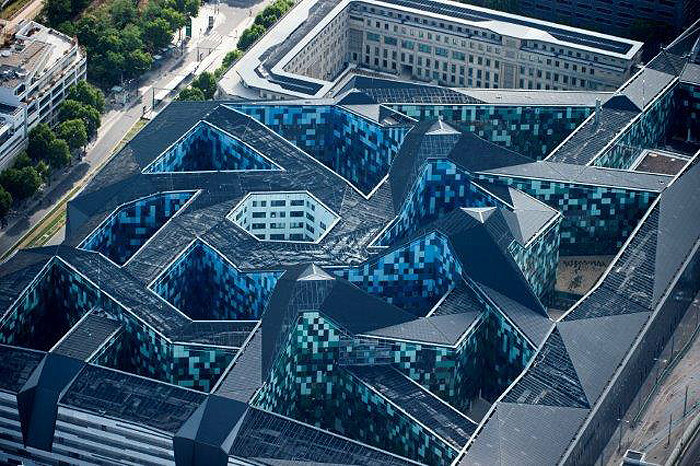 They even built their own new "Pentagon" in the shape of l'Hexagone! 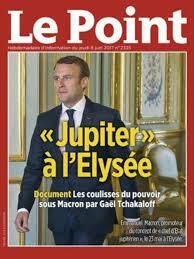 It is believed that before the period of Christianity in France, a Gallo-Romantemple dedicated to Jupiter stood on the site of Notre-Dame. Evidence for this is the Pillar of the Boatmen, discovered in 1711. Regarding that crumbling cathedral scene from I Pet Goat II - (Anti? )Christ is passing it as a boatman. The main dedication is to Jupiter in the form of Iovis Optimus Maximus ("Jove Best and Greatest"). The names of the emperor and the supreme deity appear in the dative case as the recipients of the dedication. The remaining theonyms are nominative legends that accompany individual depictions of the gods. These are (in the order they appear below) Jove, Tarvos Trigaranos (the Bull with three Cranes), Volcanus (Vulcan), Esus, Cernunnos, Castor, Smertrios, and Fortuna. this is nuts! Had no idea of such a thing. 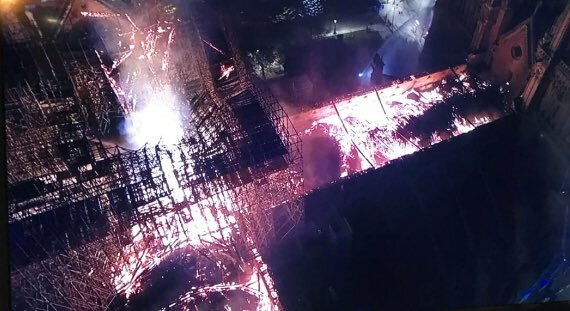 With regard to Notre Dame burning down - in a strange coincidence, Jerusalem's Al-Asqa Mosque also burns at the same time as Notre Dame burns. Al-Aqsa Mosque "the Farthest Mosque"), located in the Old City of Jerusalem, is the third holiest site in Islam. The mosque was built on top of the Temple Mount, known as Haram esh-Sharif in Islam. Muslims believe that Muhammad was transported from the Sacred Mosque in Mecca to al-Aqsa during the Night Journey. Islamic tradition holds that Muhammad led prayers towards this site until the 17th month after his migration from Mecca to Medina, when Allāh directed him to turn towards the Kaaba in Mecca. What's the odds of two historically and religiously important buildings going up in flames at the same time? I'm wayyyy behind in these threads guys. But when i heard yesterday that Notre Dame is burning my intuition told me that something is afoot. Absolute extra EXTRA special super care is taken with regard to renovating/repairing these types of buildings. Nothing is too cautious. NOTHING. And what a coincidence that 'renovations' were already underway and treasures were already safe. 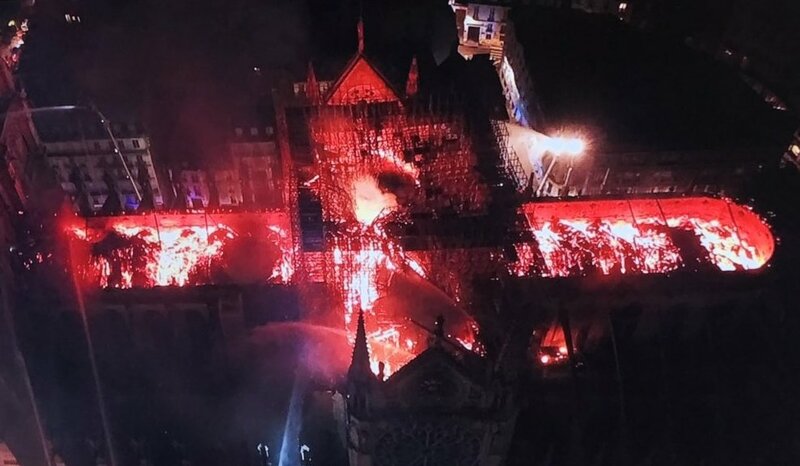 It's as if someone wanted to burn the building but save the treasures - but how would one do that without making the fire look planned and deliberate? Staging/arranging a renovation project that's how. Priceless treasures moved under the pretence of renovations. I don't know if there's a connection with the mosque burning at the same time, i don't really know if there's anything symbolic. Is there any history on these buildings that might connect them somehow? I just think it's a weird coinkydinky that two such building go up in flames at the same time. Apologies for the brief scatty post guys, I'm in a bit of a rush but needed to your draw attention to this 'coincidence'. Notre Dame cathedral in Paris burning down in front of our eyes as Venus and Lilith meet at the 23˚ mark of Pisces in aspect to Pluto at 23˚ and right after Eris in Aries is conjoined by the Sun, also at 23˚. Rabbi Avraham Arieh Trugman, director of the Ohr Chadash Torah Institute, sees the upcoming Purim supermoon as symbolizing a pre-Messianic tikkun (fixing) of the feminine. “The moon always represents the feminine, “Rabbi Trugman told Breaking Israel News, noting that Purim emphasizes the feminine. “Every Purim occurs on a full moon and Esther is the heroine of the story.